Here at Gym Academy, we focus on new and refurbished Life Fitness gym equipment for many settings including, commercial, semi commercial and home environments. 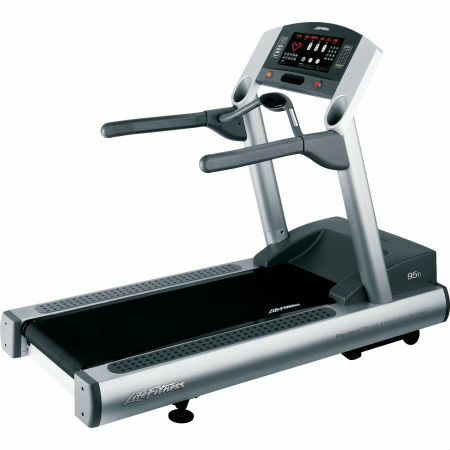 Gym Academy offers Life Fitness cardio and resistance professional grade equipment as well as other brands. Life Fitness are simply the best brand as well as being the brand leaders right now. Their equipment is designed by experts and built to last in addition to being very easy to use. Gym Academy only purchases quality equipment and it is put through a hard programme of component testing, re-painting, servicing and replacement of parts as needed. We pride ourselves on offering top quality Life Fitness restored equipment with a full warranty. Once the warranty period has expired, we also offer competitive priced servicing contracts. It is our aim to build a long-term relationship with all our clients and help them to get the very best out of their equipment. We offer advice from a wealth of experience on all types of exercise environments, including full commercial, as well as offering both new and quality refurbished gym kit for all budgets. Our range includes a wealth of Life Fitness equipment to fit all shapes and sizes of environments. We have undertaken projects which include:-High Street Gyms, Hotel Leisure clubs and wellness centres, Personal training gyms, Corporate gyms, School fitness and performance rooms and public institutional facilities such as Fire stations. We offer bespoke rental schemes for commercial environments in addition to leasing solutions with our Leasing partners, Blue Star Leasing. Gym Academy, Creaton Road, Brixworth, Northampton, NN6 9BW.